(CP) CALGARY — A woman is going to fight a ticket in court for keeping livestock in her Calgary yard. The woman keeps a few chickens on her property for eggs and to reduce organic waste. 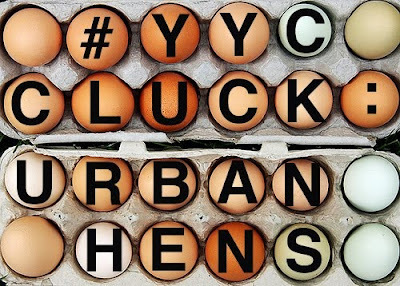 She's not the only one - Paul Hughes has four chickens in his yard and he is a member of the "Calgary Liberated Urban Chicken Klub," also known as CLUCK. CLUCK wants changes to the city bylaw to allow people to keep six hens or fewer on their property. Hughes says Calgary should be feeding itself and more people want the option to grow their own food. But Ald. Bob Hawkesworth says the city is a long way away from making changes that allow urban livestock. "There is an issue obviously around food security and the cost of food and it's a movement that's growing in cities all over North America," said Hawkesworth. "But there are so many aspects to it, from community gardens to urban livestock and I think some of the easier issues to address are the urban gardens and how we can grow our food." Members of a local group advocating for changes to a city livestock bylaw are crying fowl after a woman was fined $200 for keeping hens in her backyard. The woman, a member of CLUCK, Calgary Liberated Urban Chicken Klub, was issues the ticket for keeping four chickens. CLUCK, including founder Paul Hughes, whose group is advocating for changes to the bylaw to allow raising six chickens with no noisy roosters, plan to fight the fine in court next month. "In light of a right to food and the fact the city of Calgary does not have a food strategy for all Calgarians, we think this is wrong," he said. I just read about CLUCK in the recent edition of Alive magazine! Good on you for fighting the good fight. I wish you (and other interested Canadians) luck with this. It is a very worthy cause. It is about time we Canadians stopped being such mindless consumers and started getting back to basics; like knowing where our food comes from. Not to mention, participating in self provisioning! Personally, I think roosters should also be allowed. We urbanites have to put up with the barking of neighbours' dogs, the endless drone of lawn mowers, motor cycles, power saws, and so on, but we can't tollerate the crow of a rooster? Chicken Poop For The Soul: in search of food sovereignty.